In May, Sri Lanka will host the latest CITES conference, which is expected to give a strong boost to the island’s tourism industry, including wildlife tourism, a key revenue generator. Sri Lanka’s minister of tourism development and wildlife, John Amaratunga, tells Mongabay there are multiple benefits of playing host to the conference, as a country re-emerging as a tourism hub and rated the top destination in 2019 by Lonely Planet. The host country, known globally for its biodiversity, intends leveraging the international wildlife trade summit to draw global attention to its wildlife tourism and conservation efforts. The conference is expected to strengthen sustainable wildlife tourism initiatives that will both promote and protect the island’s fauna, flora and other cultural assets. Sri Lanka will in May host the 18th Conference of Parties (CoP18) to the Convention on International Trade in Endangered Species of Wild Fauna and Flora, or CITES. While the main agenda will center on wildlife trade policies and proposed updates to protections for various species, the host country also hopes the event will prove both a tourism and image booster for Sri Lanka, shining the spotlight on the island’s unique biodiversity. John Amaratunga, Sri Lanka’s minister of tourism development and wildlife, said the government’s target was to have 2.5 million visitors this year, most of them expected to be drawn to the island for its natural beauty and biodiversity. In an interview with Mongabay, Amaratunga said the CITES conference, from May 23 to June 3 in Colombo, would highlight the point that Sri Lanka is a destination where a diversity of nature and wildlife can be experienced in a short span of time. “The country is beautiful, safe and infrastructure ready,” he said. Mongabay: What are your key expectations from being the host country of CITES CoP18? John Amaratunga: It is a unique opportunity to do some serious destination branding. For wildlife enthusiasts and nature lovers, who contribute significantly to Sri Lanka’s tourism sector, the conference is an educational opportunity to learn about this island’s natural assets. The conference will shine a global spotlight on the island, once battered by a protracted war. Our wildlife is also a huge revenue spinner for the industry. We expect nearly 2,000 delegates from 183 countries and another 2,000 to accompany them, to discuss CITES international biodiversity trade policies, propose vital amendments, review action plans and address implementation concerns as a community. Besides attracting global attention, it provides Sri Lanka with an opportunity to contribute to the global discussion on biodiversity conservation and trade. We will ensure that the conference delegates will get an opportunity to get a holistic Sri Lankan experience. Several excursions have been organized and there are special study tours. We invite our visitors to spend some time experiencing Sri Lanka’s nature reserves and wildlife parks and to learn about the island’s flora and fauna. The government has linked the tourism and wildlife portfolios together for a reason. The two subjects are strongly interconnected. The conference creates a platform for Sri Lanka to call for responsible tourism and conservation mechanisms. Our biodiversity is not being treated only as a money spinner. 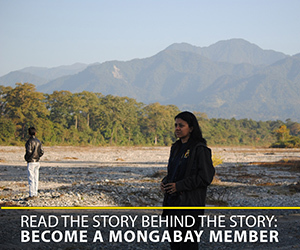 We want to draw attention to the need for enhanced conservation efforts. 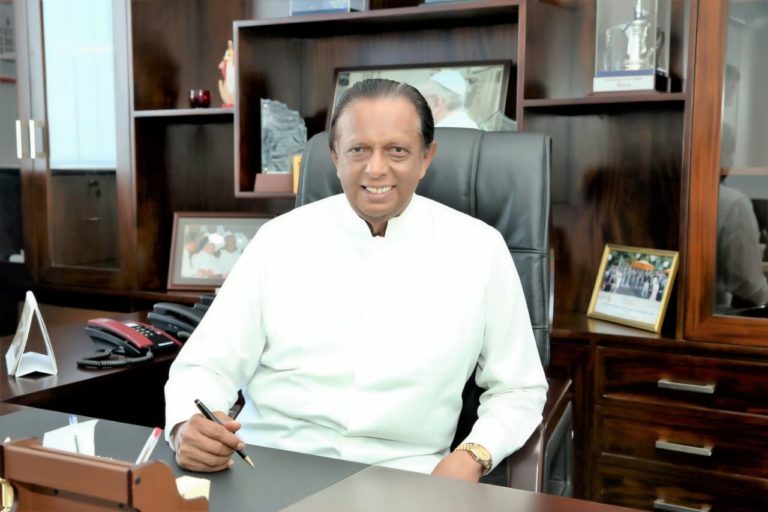 John Amaratunga, Sri Lanka’s minister of tourism development and wildlife, courtesy of the Ministry of Tourism Development, Wildlife and Christian Affairs. How will you leverage the conference for such enhanced conservation efforts? The CITES liaison office in Colombo has been working hard to draw attention to species other than elephants, rhinos, tigers, whales and leopards, by focusing on endemic lizards. There are several proposals for discussion this time. Already there is a renewed dialogue about Sri Lanka’s unique biodiversity which is not confined to the sector. We are certain that CITES will showcase Sri Lankan biodiversity in the most beneficial manner. Sri Lanka’s wildlife regularly draws thousands of tourists, both local and foreign. What are the key attractions? Our nature reserves and wildlife parks are extremely popular. Besides experiencing their diversity, there are significant visitors who come for purposes of study. Famed for elephants, leopards, birds and reptiles, there is renewed interest in Sri Lanka’s wildlife in the aftermath of war, and the visitors are increasing in number. Unlike during the years of war, there is complete access to all the areas now. There are new areas of interest as well. Whale and dolphin watching is drawing more people, and Mirissa, in the island’s south, gets 1,000-plus foreign visitors daily. Increased safety is a reason behind the global travel guide, Lonely Planet, listing Sri Lanka as the top destination in 2019, a decade after the 25-year civil war ended. The war did not affect protected areas in a big way during the years of ethnic violence, but some locations in the island’s north and east remained inaccessible during those years. Now visitors can have access to all of them. So there’s more to explore in Sri Lanka, once again. What are the key issues with regard to wildlife conservation in Sri Lanka, in your view? We have impressive laws and reliable implementation mechanisms. But behavioral change can come only from increased awareness. Visitors must understand that disturbing habitats is not the way to go, which remains a challenge. We are now controlling the number of visitor vehicles entering wildlife parks and nature reserves, and insisting on a code of conduct. It is important to ensure sustainable wildlife tourism, but to ensure sustainability there must be behavioral change and responsible wildlife tourism. You mentioned wildlife tourism being a key revenue spinner. There is always the question of conservation versus fauna and flora showcasing, because there is exploitation and violations of the law. How do you propose to ensure sustainable wildlife tourism? Undoubtedly, even in countries with the best wildlife protection policies and practices in place, this is a serious dilemma. It calls for striking a fine balance, which is very difficult to achieve in practical terms. Conservation policies must lead for it to become sustainable. However, as a country, we have also demonstrated our strong commitment to avoiding questionable wildlife trade. Sri Lanka gained international recognition in 2016 for its decision to destroy 359 African elephant tusks worth an estimated $2.2 million under CITES. The ivory stock, weighing more than 1,500 kilograms (3,300 pounds) was seized in 2012 by customs officials en route to Dubai from Kenya. We have shown we are responsible. Do you have specific targets in promoting wildlife tourism in Sri Lanka, using CITES as a springboard? The ongoing dialogue about the host country gets us a lot of eyeballs. It’s much better than the paid promotional campaigns we undertake on behalf of this sector. In the first two months of 2019 alone, we have had 500,000-plus tourists visiting the island. Last year had some politically destabilizing moments, but that’s in the past. As a result, we fell short of our target of 2.5 million tourists in 2018, though our financial targets were well met. We have ambitious plans for the coming year, and that is to attract 4 million arrivals by 2020. We are working on increasing airport capacity and upgrading infrastructure islandwide. The target in revenue terms for the next two years is to generate $7 billion in foreign exchange earnings, provide direct and permanent employment to another 600,000 individuals (including a least 10 percent of women workers) and also to increase the per capita spend per tourist from the current $164 to $210 daily. For all this to happen, CITES will be a suitable launchpad. Banner image: A leopard at Yala National Park, Sri Lanka by Thimindu Goonatillake/Flickr (CC BY-SA 2.0).